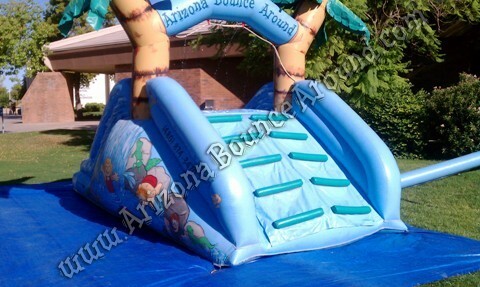 Our Tropical Water Slide is 10' tall and features a small splash pool at the bottom perfect for kids 5 and under that can't handle the Big Water slides. 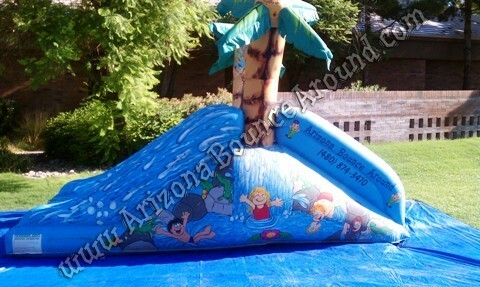 Our tropical waterslide is still a big hit at any party and features easy to climb steps and 2 lanes of sliding surface. 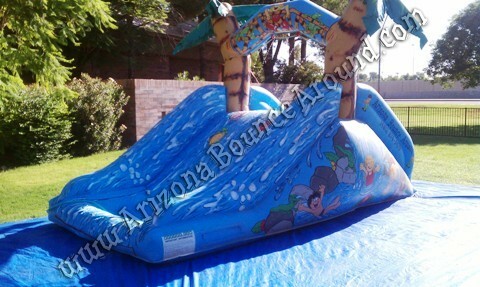 We have 6 of these water slides available for rent. The Tropical water slide comes complete with a hose to fill the pool and a hose to spray water at the top of the slide to keep it cool and slippery. 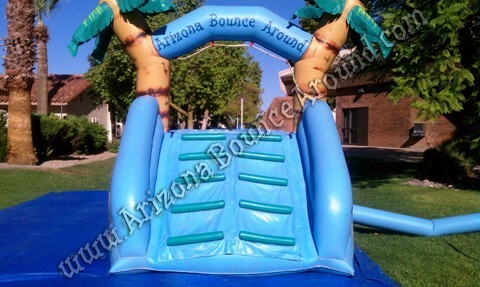 All we need from you is a standard water hose in good condition to reach the slide and a regular electrical outlet and you can have a water slide party to remember. Scroll down for even more actual photos of this water slide in action, no clip art here. 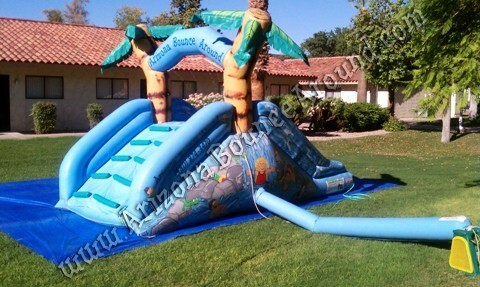 Gravity Play Events is located in Denver CO and serves all of Colorado so call, click or come by today to start planning your next water slide party. Add a Snow Cone Machine to any Water Slide for only $59.95 with supplies. Our toddler water slide has dual lanes and easy to climb steps making this the perfect water slide for toddlers and small kids. 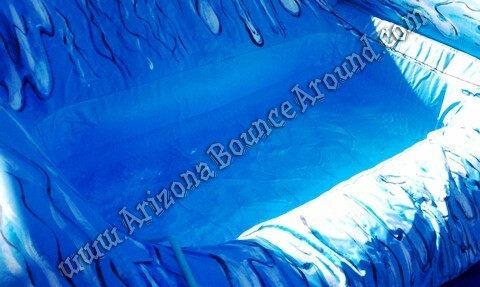 We place a large tarp under the water slide so the kids can run around from the pool to the steps without being in the mud. It keeps the slide and the pool cleaner longer. This is a feature that most rental companies do not offer. The pool on this small kids water slide is designed for small children. Its wide and not long so they quickly hit the pool water then the fron stopper. Not many rental companies rent water slides for small children but we do. The blower tube is very long on this water slide so we can place it away from the children and water.